Consumer behavior is changing. Unsurprisingly! New technology is coming out every day, and the world is becoming more and more interconnected. Our lives today look very different from fifteen, or even five years ago. So it should go without saying that how people shop, who they choose to shop with, and what they buy have also changed. People are so used to interacting with machines that they find this kind of ordering experience simple and accessible. It’s easy to customize each dish to one’s tastes. There is a high level of control over the process (it’s easier to double-check that the order is registered correctly on a front-facing machine than on a server’s pad). There is less social friction – for instance, there is no risk of holding up a line up by requesting a special order. Let’s focus on the last point. The social friction of sales can be one of the reasons behind the increasing popularity of online versus in-store shopping. Today’s consumers don’t necessarily want to talk to people when they make a purchase, let alone feel like they are being sold to. A recent survey by HRC Retail Advisory reported that the vast majority of consumers is not interested in getting help from sales assistants in stores. 85% of respondents said they would rather use price scanners than ask a salesperson for pricing information! Not only: 95% of consumers, the survey reports, want to be left alone while shopping. When and if they need assistance, they will ask for it themselves – thank you very much. This doesn’t come as a complete surprise. After all, today’s shoppers can do almost everything – from booking holidays, to personal banking, to communicating – on their own time, online. They are used to feeling in control. Why should this be different when shopping? There is a change not just in how people shop, but also in who they decide to shop with. Research shows that younger generations strongly care about fostering positive change. Issues like social justice, transparency and sustainability are very important to them, and when they shop, they tend to prefer brands that they feel align with their values. According to the report “Meaningful Brands” from Havas Media Group, 75% of consumers actually expect brands to have a tangible positive effect on their lives, and on society. And bringing meaning to today’s consumers pays off. Businesses perceived as driving positive change have been shown to outperform the stock market by as much as 206 per cent, Havas reports. Many of the biggest brands of the past century owe their success to their ability to create predictable, standardized products. Think of Ford, whose vision of the assembly line changed mass production globally. Or McDonald’s, whose promise of the same, identical burger experience, no matter where you are, transformed a small foodservice chain into a mega-brand with global presence. Those times may be gone. Consumers are tired of standardized products and experiences. What they look for are genuine, original, and above all personal(ized) experiences and items. Think of the proliferation of bespoke products, from 3D-printed trainers designed to adapt to each foot’s shape, to wearables that can track bodily signals and respond to them, to custom-designed perfumes that are mixed to complement your specific scent. On the one hand, technological advancements have enabled companies to mass-market unique items at accessible prices. On the other hand, people’s tastes have changed, too. Today’s consumers expect the items they buy to be tailored to their own specific needs and tastes. The same goes for experiences. Shoppers expect to be recognized by brands, and given appropriate attention and relevant offers and shopping ideas. As the who, how and what of shopping change, you have a choice: adapt to the new consumer, or become the next Toys-R-Us. The good news is that technology can help you deliver exactly the kind of frictionless, unmediated experience consumers love. For example, retailers are now using many types of artificial intelligence (AI)-powered services to connect with consumers and personalize the experience, in-store as well as online. Tools like chatbots can be used to deliver customer service that doesn’t require any social interaction, but is still information-rich and personal. Unified commerce platforms are also becoming increasingly indispensable to ensure a smooth shopping experience on all touchpoints. By keeping all your business data in one database, you can maintain up-to-date and accurate information on all channels, from pricing, promotion and inventory, all the way to personal customer data such as shopping history and loyalty program points. Not only: by connecting the whole enterprise under one platform, unified systems also enable retailers to offer popular across-channel services such as click & collect, omni-channel product returns, online inventory visibility, and more. This means that you can easily let your customers start, stop, continue and finish their shopping journey when and as they prefer. The key here is selecting technology that delivers engagement and personalization when the customer decides. Today’s consumers like to feel looked after, while still maintaining 100% control over the purchasing (and post-purchase) process. When Fast Company investigated which brands perform well with modern consumers, they saw they all had one thing in common: a clear mission. Although you can’t (and shouldn’t!) try to change your brand image in one day, you should try to build meaningful connections that go beyond pure purchasing with your consumer base. Here are three steps to achieve this goal. Start by investigating your customers. This can be done directly, by asking them questions, as well as by applying social listening. What do they care about? What are their hobbies, interests, passions? How do these match your brand? You could organize events in-store: these can go from talks with experts, to fundraisers for the local community, to special nights where you show your latest organic bath lines or styles from young local designers. Create unique, non-monetary rewards to engage loyal customers. “Customers will remember their experience with a brand long after they’ve forgotten a discount,” says Howard Schneider, senior consultant for Kobie marketing. Instead of discounts or vouchers, why not tie your loyalty program to experiential rewards? Think classes with experts, or access to exclusive items or content. Make sure you communicate clearly what you stand for, and the actions you are taking to make the world better. Fast Company believes that well-known brands like Pampers and Newman’s Own may have fallen out of favor with Millennials because they haven’t been able to communicate effectively the great work they have been doing in decreasing tetanus and championing organic food, respectively. If you are involved in social causes, don’t downplay it. Showing your work will help you engage more consumers – and, down the line, it may even amplify the impact of your actions. In the past, personalization was out of reach for most large retailers. Today, technology enables all businesses to effectively follow each customer through their shopping journey, record their preferences, and deliver tailored communication and recommendations. Two types of technology in particular come, once again, to the retailers’ rescue: AI and unified commerce. AI is being used in different ways to personalize experiences across the board. Chatbots are increasingly common, being employed both in customer support tasks and via messenger applications, to offer specialized product and service recommendations to customers. 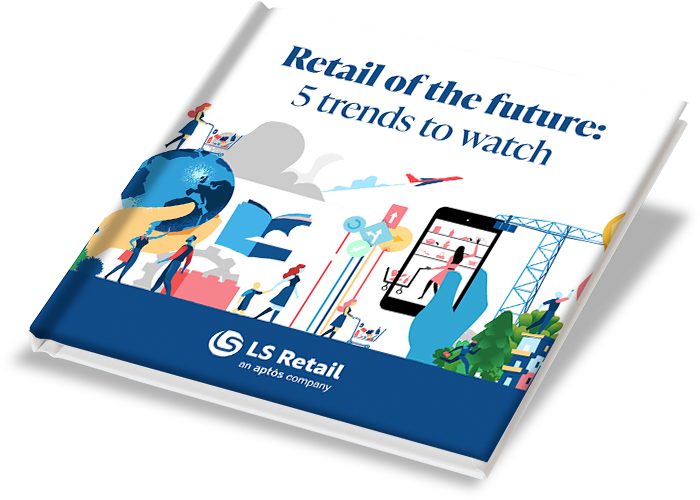 The most innovative retailers have also started employing AI-enabled recommendation solutions that analyze shopping behavior, and then use the data to deliver predictive insights, so that the sales team and the e-commerce site can offer relevant product ideas and suggestions tailored to each single consumer. One such forward-thinking retailer is Apple reseller Humacin Denmark. They implemented LS Recommend, LS Retail’s AI recommendation service that suggests complementary items tailored to each shoppers’ basket and tastes. In the first three months of use in Humac, sales of recommended items alone led to total margin growth of 46%. Unified commerce is the backbone that keeps all of these efforts together. When your company operates on a single platform, data – including customer information – can be linked, compared and communicated seamlessly and instantly. This kind of immediate visibility, and enterprise-wide accuracy of information, is virtually impossible for retailers operating on disconnected systems. As a retailer, you can decide to stick to your old and tested ways – and then cry when consumers stop walking through your doors. Or you can move with the times, and change your selling tactics and tools. Today’s shoppers demand independence, a sense of meaning, and personalized attention. Let technology help you deliver all this. Not sure how? Contact us today for help.